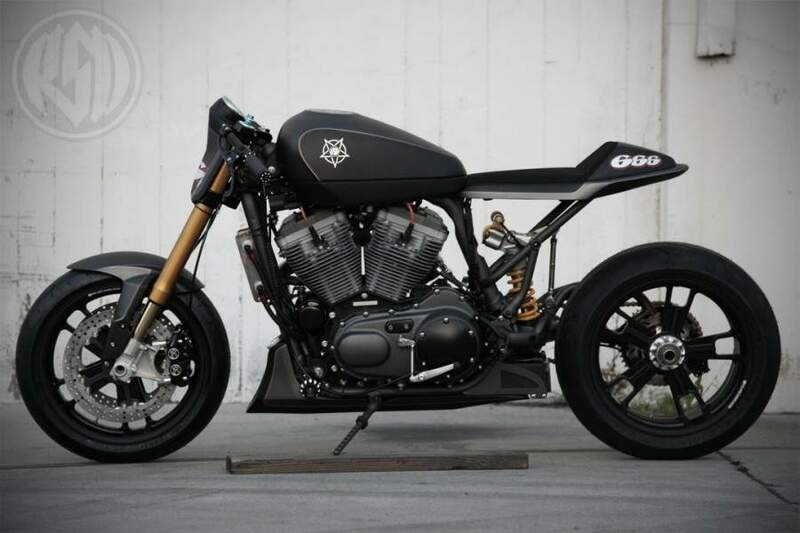 Setting out to transform the flat track-influenced Harley XR1200 into a superbike, Matte black with a grey powdercoated frame and gloss black highlights, this bike is remarkably restrained for the typically flashy Roland. The forks are Ohlins, orginally designed for a GSX-R while the rear shock and linkage are from a Ducati. 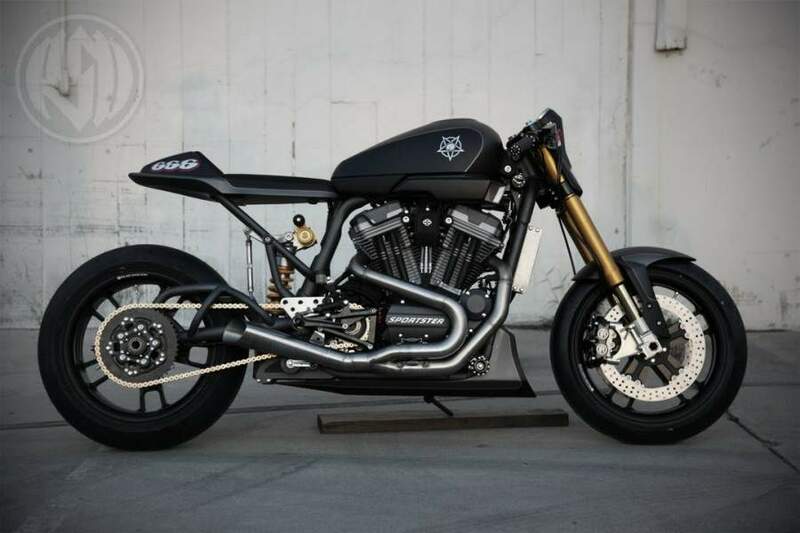 The single-sided swingarm and tail unit are custom fabricated and the wheels, wearing a two-tone black finish Roland calls "Tuxedo Black," are out of the RSD catalog. 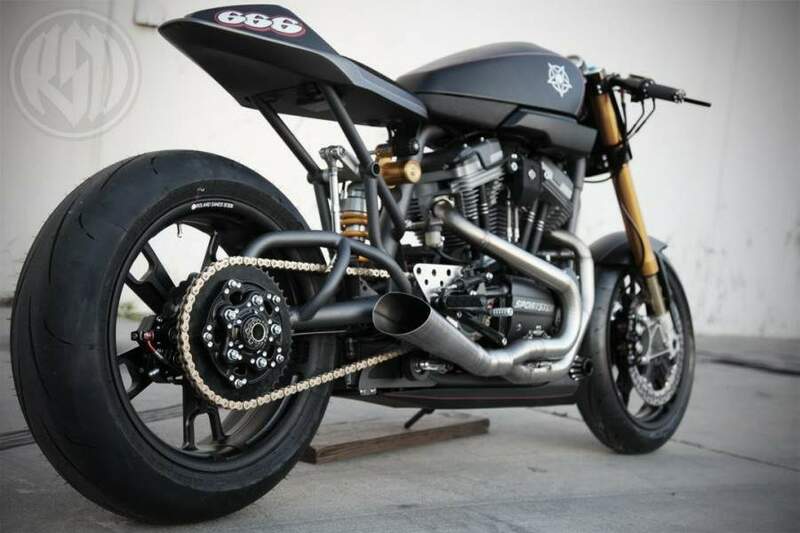 All these changes should ad up to a Harley that handles like a Buell, while the looks are at once Harley, but also totally contemporary thanks to the addition of strong mechanical components, aggressive angles and simple surfaces. The overall effect kinda imagines an alternate present in which Harley still honors its heritage without the shameless laziness of continuous copying.